Something still fresh in my mind from my Child Development college courses I took a few years back was newborns and their eyesight. Their eyesight is not fully developed, I think we can all attest to that when we see that their eyes go crossed as they try to focus on you, cutest thing ever! But did you know, being freshly born, that they only see the colors black, white and gray? Being in the womb it’s dark and not much to look at! Babies eyesight fully develop around 6-8 months. Why am I telling you this? It’s because ever since that class I’ve wanted my nursery to be black, white and gray. To ensure that my baby can be fully aware of his surroundings from the get go. If you look at the company Modern Burlap, you will find that all their products are black and white, which goes along with this research. 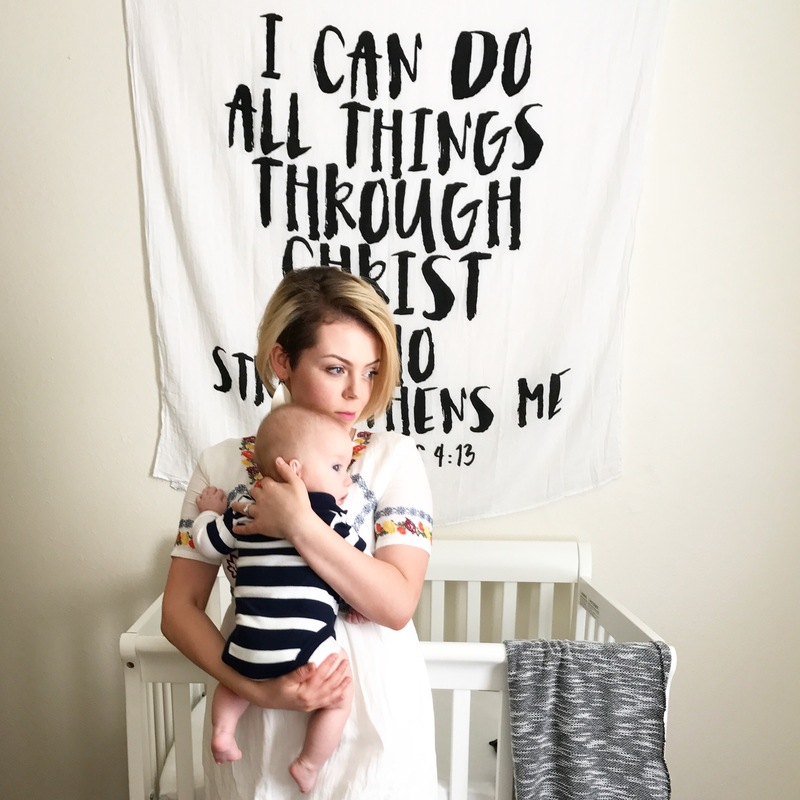 Black and white has never been this cute you guys, just take a minute to browse their products, especially their swaddles and you will have to have one in less than that minute! They range from a variety of patterns to precious gospel verses. I have used my swaddle as a wall decor, trying out the minimalist decorating thing. And it has been such a beautiful reminder to me. I also pull it down and use it as a swaddle too of course, mostly when I’m behind on laundry! It is a breathable muslin material and is big enough to wrap several times over for a snug swaddle. Other than that, it hangs as the simplest yet profoundest piece of decor in my house. It will surely be a keep sake for our family! *I received this swaddle for a discounted price in return for a review. All thoughts are honest and are my own. Tags: Baby, baby blanket, baby product, modern baby, modern burlap, swaddle. Bookmark the permalink.